My love for the real life, paper-based trading card game of Magic came about almost entirely because of the first Duels of the Planeswalkers game, so it’s fair to say that I am more than just a little bit biased towards the series. There have been a few missteps (most notably Magic 2014 and Magic 2015) since then, but Stainless Games can generally be applauded for its efforts to move the most welcoming iteration of Magic forward in line with its expanding, more confident user base. This year, we will bear witness to the culmination of Stainless Games’ creative vision and Wizards of the Coast’s commercial aspirations, as Origins stands to be the last standalone installment in the series. From now on, the base application will simply be updated with new sets of cards, and players will earn gold coins with which they can buy boosters. Of course, that same gold can also be acquired using real money, which is where the rub of the so-called free-to-play model will really be tested. Let’s play Magic — Well, you came here to play Magic right? The good news is, you still can. And, I might add, everything works just a little bit better than it did last year. Origins features a very similar set of modes to those which appeared in the past two iterations of the series. Specifically, there are five campaigns, each of which aligns to the story of a key Planeswalker within the Magic multiverse, and there is also the opportunity to fight a one-on-one duel against opponents of three differing levels of challenge. The game also retains the same multiplayer modes it’s always featured, which include One vs One and Two-Headed Giant. There is no Planechase, nor are any of the popular paper Magic formats such as EDH or Commander supported. There is certainly no support for serious constructed play, nor is there support for proper sealed or draft limited event. So much flavour — The Magic multiverse has always had a rich and interesting lore surrounding its cards and their reasons for being, and although it is fairly brief, Origins‘ campaign mode ties in nicely with the flavour of the Magic cards that feature heavily throughout. The tales of five of the most popular Planeswalkers (Gideon, Chandra, Liliana, Jase and Nissa) are depicted, and never before has a Duels game featured such an excellent tie in, nor such an up to date roster of cards. New-torials — Previous Duels games have been quite poor at explaining how Magic works. Origins does a much better job, despite being a bit longwinded about it. Of particular use to new players will be the scenario tutorials, which basically jump the player out of the current game into a mini-scenario that deals with a particular keyword like deathtouch or trample whenever it appears in a normal game for the first time. 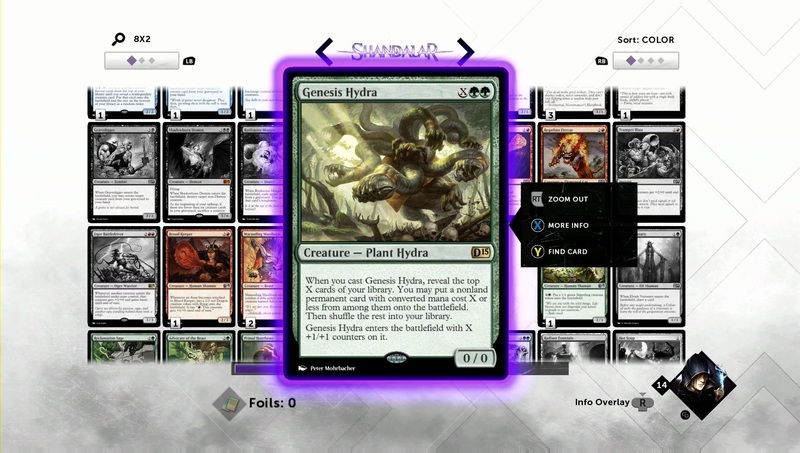 Future potential — I’m not quite sure how the expansion model for Origins is going to work going forward, but because the campaign mode in this base game is so intrinsically linked with the Planeswalkers and cards featured in the Origins set, I can only hope that it’s possible we may see new campaign content released alongside future sets. The model certainly has potential for expansion, and for me that means the possibility of introducing new cards, new modes and new sets aplenty. Cash injection — Undoubtedly the most disappointing aspect of Origins is how heavily it has swung toward an expensive, unavoidable black hole of microtransactions. The game is (as promised) entirely free to play, but once all five campaigns are complete, you’ll have earned a certain amount of gold to spend on boosters. Each booster is 150 coins (there are no discounts for buying multiples) and completing each campaign earns you around 200 coins. Hence, completing the game won’t actually buy you that many. From then, you can play single games to earn more (beating a hard opponent will earn 15 coins), but it’s one of biggest grinds of any game I’ve ever come across. Multiplayer wins earn 20 coins too as does a weekly “Quest” system, but both are pretty lean on the rewards front considering the typical win/loss ratio in Magic. Unless you have infinite time and patience, sooner or later you’ll need to buy some coins with real money, which wouldn’t be so bad except that for some reason, the boosters in Origins contain only six (one rare, two uncommon, three common) cards instead of the usual 15, which extends the grind considerably. Dodgy deckbuilder — I honestly don’t know what is going on with the deckbuilding feature in Origins. It’s easy enough to build a custom deck, but if you dare venture into the Wizard mode (where new players are meant to go) things get pretty confusing. 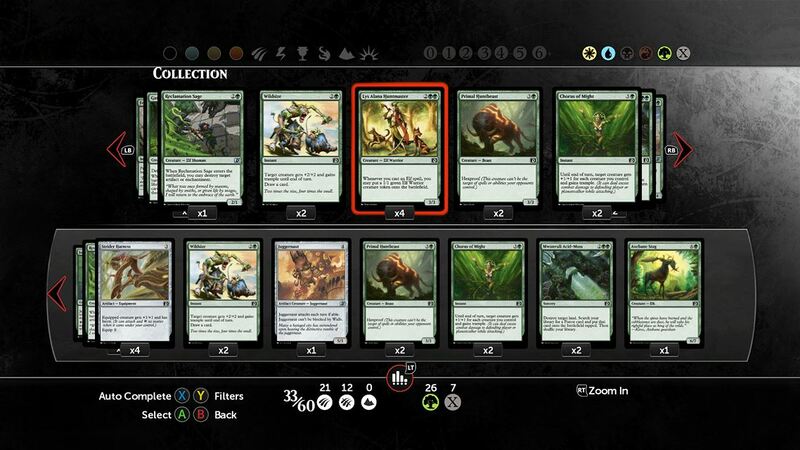 Players choose an archetype like black/green elves and the game then shows a panel of four cards that fit the bill. Pick one and another that may or may not be the same will take its place and repeat until you have a deck. There’s very little sense in what appears here, and it often feels like a puzzle: I picked one pile clean until I found a good card and then put all the cards I had picked to get to it back on the stack. Why this mode exists or works in this way I have no idea, but perhaps it is of use to very new players who don’t necessarily understand the very nuanced difference in quality between two similar looking cards. No option — The level of content Origins offers is pretty disappointing. The campaigns are a new high point, but the rest of the content is as lean as can be. Although Two-Headed Giant returns, there is no new mode, and considering that Origins‘ revenue model is based around players earning coins to unlock content, a return of the puzzle scenarios from Duels 11, 12 and 13 would have been welcome. Magic Duels: Origins feels like a minor misstep to me. 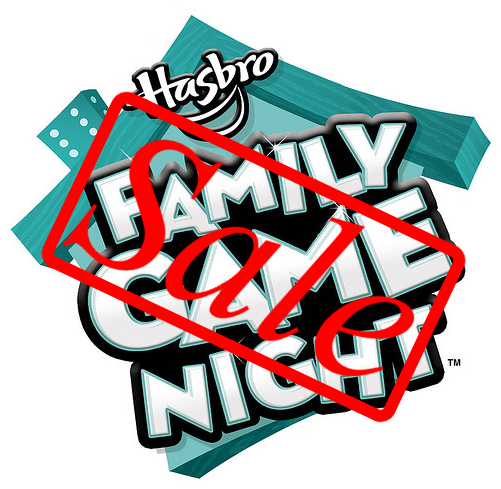 I would still recommend most players (especially newer ones) try it for free, as the base content is more than acceptable considering the price of entry. The problem with Origins is that the content isn’t comprehensive enough for established players, and the microtransaction model is too expensive. 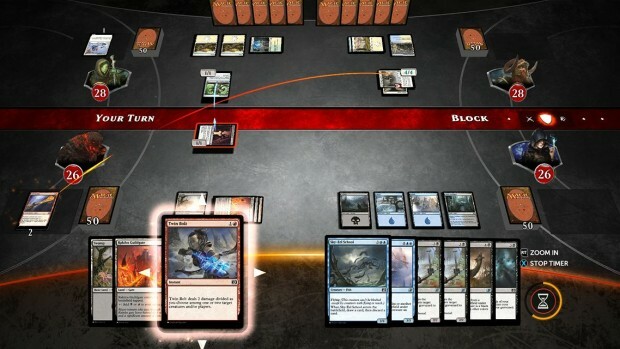 It may still act as an excellent gateway to both paper Magic and Magic: The Gathering Online, but you’re better off investing your money directly into one of those games. 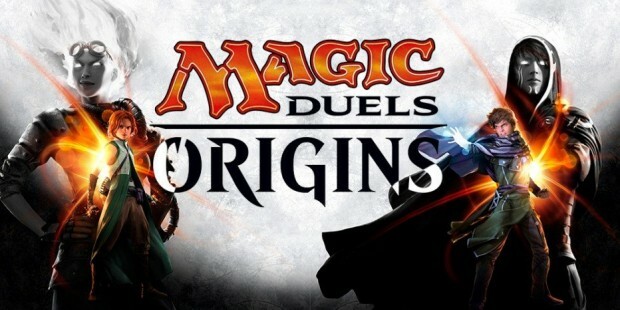 Magic Duels: Origins was developed by Stainless Games and published by Wizards of the Coast, it was released on Xbox One on July 31, 2015 and the base game is free to play.